which is intended to avoid the possible bias introduced by relying on any one particular division into test and train components, is to partition the original set in several different ways and to compute an average score over the different partitions. 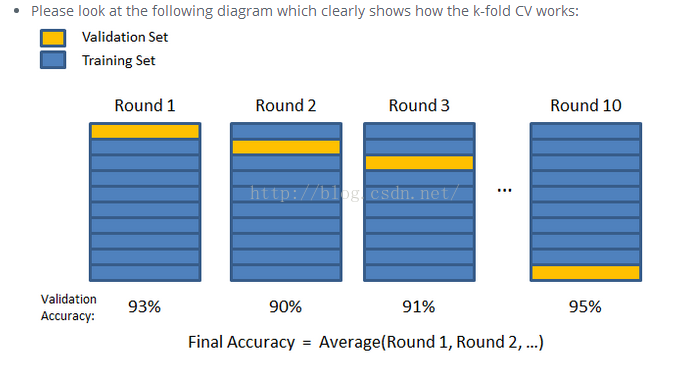 K-Fold Cross Validation is used to validate your model through generating different combinations of the data you already have. For example, if you have 100 samples, you can train your model on the first 90, and test on the last 10. Then you could train on samples 1-80 & 90-100, and test on samples 80-90. Then repeat. This way, you get different combinations of train/test data, essentially giving you ‘more’ data for validation from your original data.